Andrew Frank is starting his sophomore year at Hubbard High School. He is a first year HUB staff member and enjoys writing about sports and current world events. Andrew joined the HUB to share his love for sports with the students of HHS through his writing. Andrew is enrolled in Honors English, Honors U.S. History, Honors Biology, and STEM Algebra ll; he is also enrolled in Sports Broadcasting. 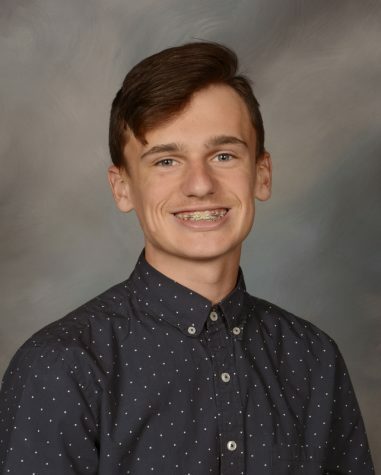 In addition to his academics, Andrew is a member of French Club and is planning to join the Ecology and Rotary Interact Clubs this year. Andrew is a first year letterman in football and baseball. He was an active member of the freshman and JV basketball teams last year, and plans to continue his basketball and baseball career this year. Andrew hopes to maintain his 3.85 GPA throughout high school. After high school, he plans on attending The Ohio State University in the fall of 2021. Currently his major is undecided.